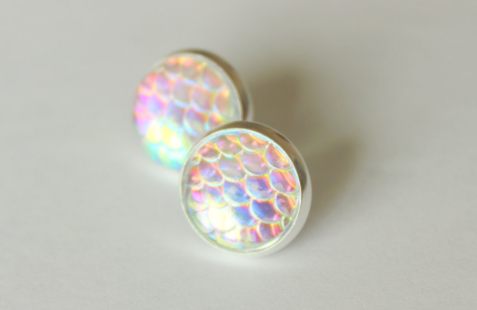 Cheap mermaids = best mermaids. 1. 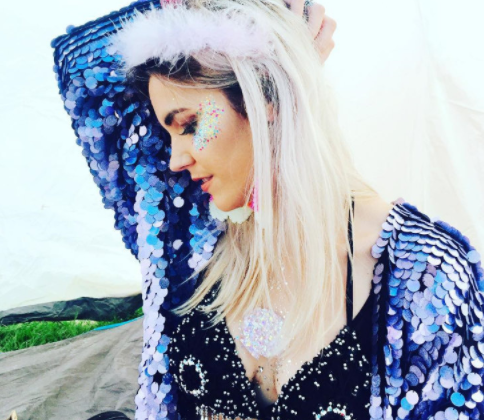 This trio of iron-on mermaid patches so you can sport your mermaid flair wherever you go. Get 'em from WildflowerAndCompany on Etsy for $14.50. 2. A gradient mug that really gets your aquatic ~aura~. Get it at KathyWellerArt on Etsy for $16 and up. 3. This elegant pair of earrings, for when subtlety is your thing. 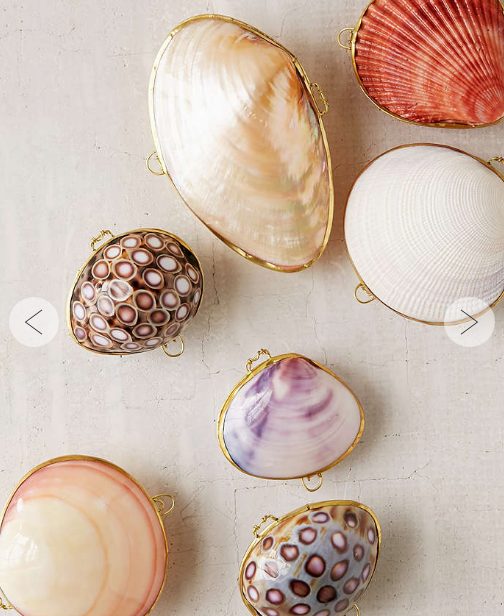 Get 'em from ModCloth for $12.99. 4. Some handmade bath bombs in perfect oceanic hues, because even mermaids (and mermen!) need pampering. Buy 'em from MaidenHillFarm on Etsy for $2.35 and up, depending on the size. 5. 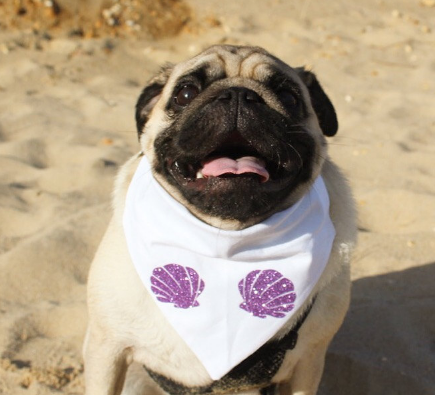 A shell-print doggy bandana, because man's best friend is also a mer's best friend. 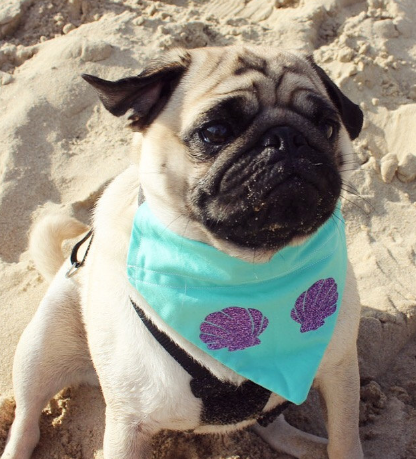 Get 'em from BourneWildPetWear on Etsy for $8.78 and up, depending on the size. 6. 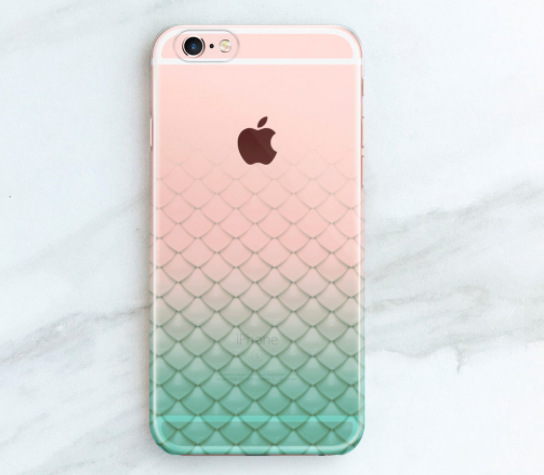 This iridescent, sparkly, glittery cell phone case that will be the envy of every mermaid, everywhere. Buy it from Amazon for $6.99. 7. 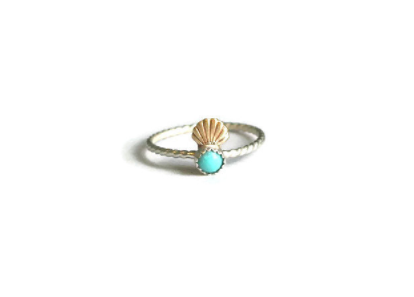 A dainty sterling silver and turquoise ring for an everyday sea-maiden look. Buy it from ChildrenOfFlowers on Etsy for $26. 8. This ocean mug, which doubles as a bowl (and comes with a whale-shaped spoon), is ideal for a mermaid with not a lot of kitchen space. Nab it from ModCloth for $17.99. 9. 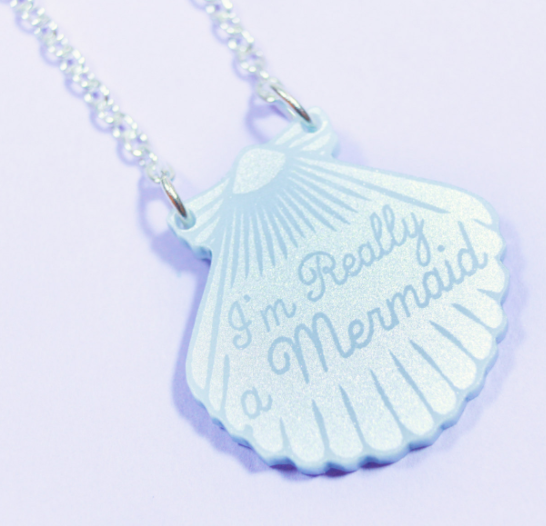 A whimsical mermaid necklace that reminds everyone of your true form. 10. A color-changing sequin pillow that no merperson's house is complete without. Get it from Tee Gaia for $20 and up. 11. 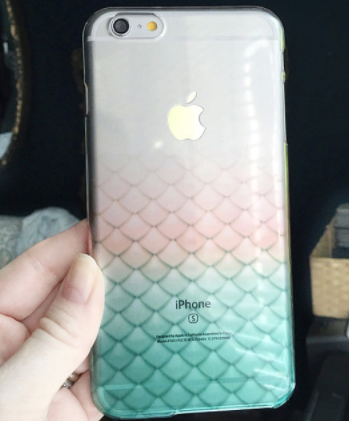 A simple phone case with a fish-scale print for that classy mermaid look. Buy it from JoyMerrymanStore on Etsy for $29.50 and up. 12. 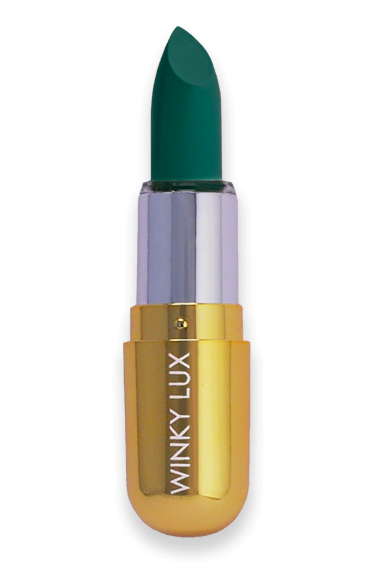 This deep green lipstick, for when you're feeling more like a siren than a mermaid. Buy it from Forever21 for $14. 13. 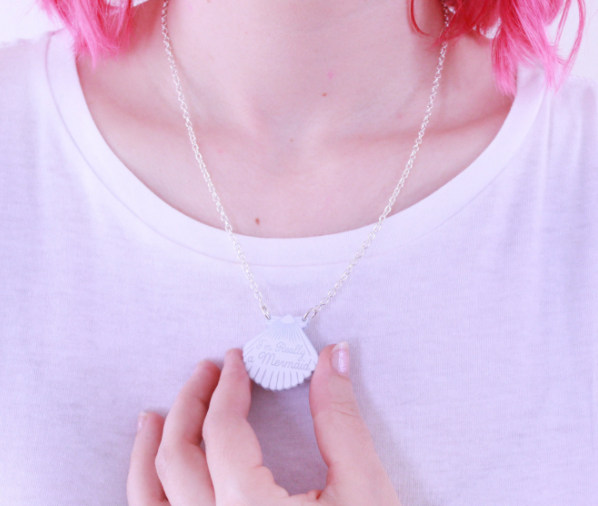 A shell-shaped necklace that really spells it out for everyone. Get it from ILoveCrafty for $15.60. 14. 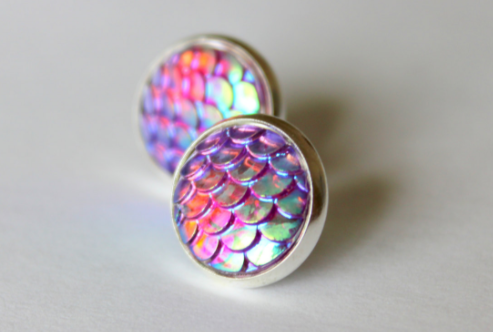 These iridescent fish-scale earrings that come in a gazillion colors, so you can match them with every outfit. Buy them from PassingThroughShop on Etsy from $9.50 each. 15. 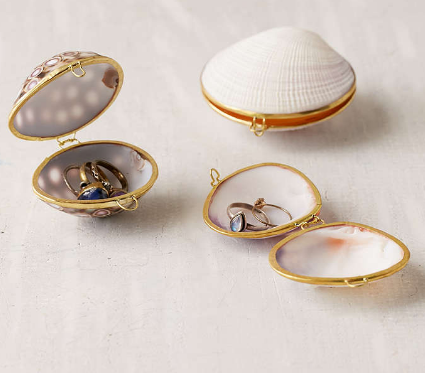 A delicate trinket box made from real shells, for storing all your tiniest treasures. 16. 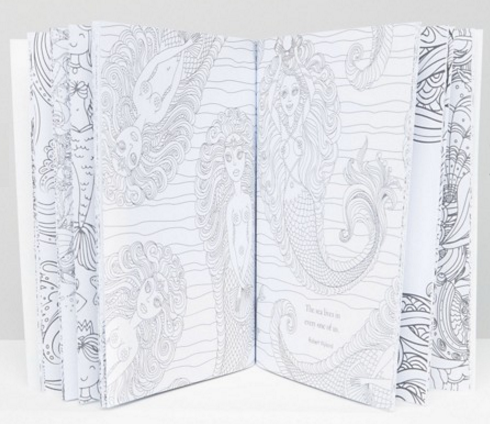 A mermaid coloring book to calm your anxious mind and remind you that if you just keep swimming, everything will be all right. Buy it from Asos for $7.50. 17. 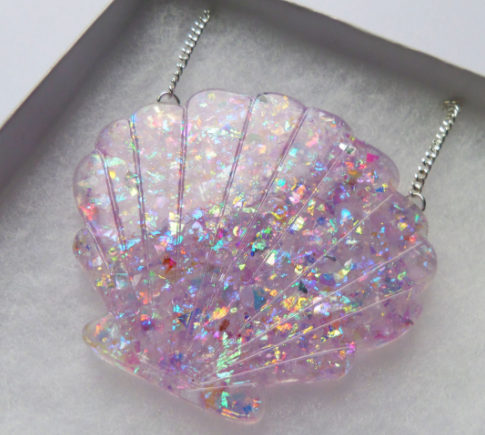 This giant glittery shell necklace for when bigger statements are your thing. Buy it from CandyShockUK on Etsy for $17.91. 18. 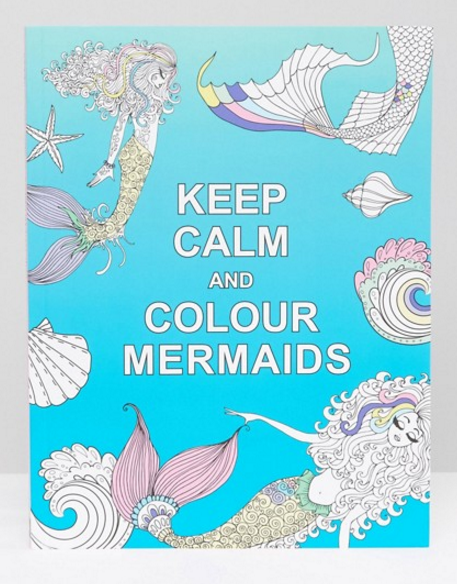 This shell tank top, because even mermaids get their yoga on. Buy it from PurushaPeople on Etsy for $44. 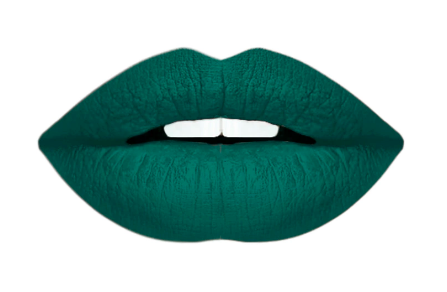 Want more mermaid goodness? 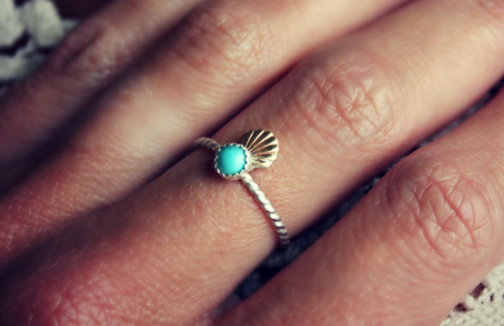 Take a look at "20 Gifts Every Wannabe Mermaid Needs To Ask For This Year."